This article is about the SR character. For the summon stone, see Ranko Kanzaki (Summon). [Wretched Demon Girl]This title is an unofficial, amateur translation. Uncap Ranko Kanzaki (Summon) to 4★. 100% Fire and 100% Water damage to a foe (Damage cap: ~350,000). Forbidden power manifests when darkness envelops my flesh! Strength: 10% upon using a skill. Extended Mastery Support Skill EMP Revel at the unbridled power of my cohorts! Revel at the unbridled power of my cohorts! Ranko's base Damage cap for her Charge Attack is lower than usual at only 900,000 damage. However, bonus Fire and Water damage are inflicted during this attack, normally capping at around 20% of the base Charge Attack damage, meaning the total damage can total close to 1.275 million. This bonus damage scaling is not linear. A weaker base damage will result in lower percentage of bonus damage. Duration: 1 turns will be lower if the base Charge Attack damage cap is not reached. Note that the testing described above was performed in July, 2017, before game rebalancing increased Charge Attack cap damage in general. While the mechanics described still apply, Ranko's base CA cap is around 1,580,000 million damage now instead of 900,000. In a quick test, stacking Rage IV, non-3★ Kaguya, and Qilin Bow (30% cap up) resulted in base CA damage of just over 2 million with additional fire and water damage of 492k each. Awakening Pulse changes Ranko's skills from Abbysian Magic, Crimson Zeal, and Awakening Pulse into Wings of the Fallen Angel, Rozen Storm, and Soul Guide, respectively. All of Ranko's Awoken skills can be used immediately after using Awakening Pulse. 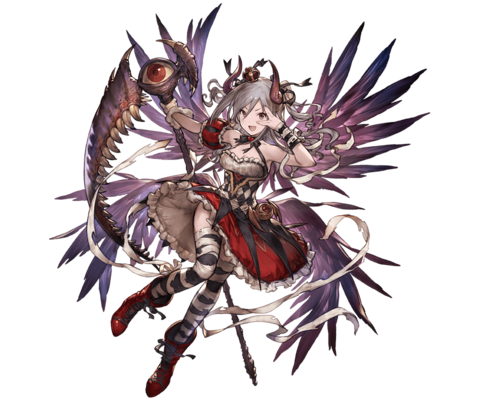 Once Ranko enters Awoken Mode she cannot revert back to normal, even if she is revived. 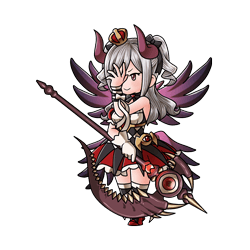 Soul Guide will not activate if Ranko is under 30% of her maximum HP. has a maximum of 10 stacks. while she is in Awoken Mode. Increases the ATK of all Cinderella Girls characters. Does not work when Ranko is in the sub party. The process for recruiting Ranko is rather convoluted and involves multiple iDOLM@STER characters as well as Ranko Kanzaki (Summon). Call Brunnhilde 666 times to get 4 copies of Ranko Kanzaki (Summon). You can summon Brunnhilde then retreat on an uncleared quest; it will count towards the trophy but refund your AP. You can also get the summon through the treasure exchange in Cinderella Fantasy ~Piña Hazard~. If you don't uncap your Brunnhilde a good spot to grind out the 666 summons is chapter 19-4. Equip as many Brunnhilde as possible, preferably 5 + friend summon. Bring multiple heals for yourself. Go to Chapter 19-4. Stage 1 will pit you against Vira along with two Bits. Wait until the 6th turn where the bottom (2000 HP) bit will cast permanentNot actually permanent, all buffs/debuffs wear off after a couple of hours. HP regeneration on all foes. Once the regen is on the battle should last forever as long as you keep your damage on Vira below 7000 per turn. It is safe to retreat from the quest, your summon calls will still count. 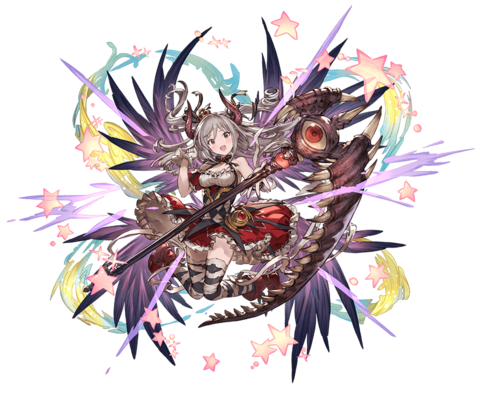 Use the Ranko Kanzaki summon to deliver the killing blow to each of Tiamat, Colossus, Leviathan, Yggdrasil, Luminiera, and Celeste. This can be done in the Main Quests, or any of their raids. You will earn trophies that reward the following items for the Ranko summon's blue star uncap. Earn the following 3 trophies. This will earn a metatrophy Fear My Future Self for the Resonant Souls of the Brethren. Frosty Smile - Upgrade Anastasia and Rin Shibuya to level 50. Rockin' Time - Upgrade Miria Akagi, Airi Totoki, and Mio Honda to level 60. Circle of Friends - Upgrade Uzuki Shimamura, Sachiko Koshimizu, and Miria Akagi to level 70. After earning all the character level trophies, you will unlock the trophy quest Must... Gather... The... Darkness.... Clear it to receive the Grimoire of Awakening. Uncap Ranko to 3★ and level her to 100 to see her blue star. Complete the final uncap on your Ranko summon and you will earn the trophy Witness My Final Form!. Receive the trophy reward of 50 Crystals and Ranko will join you! This page was last modified on 9 March 2019, at 17:37.